Paris (AFP) - An auction on Monday of sacred masks and objects in France has stirred fresh anger among Native Americans, with representatives of the Navajo people travelling to Paris to try and halt the latest sale. 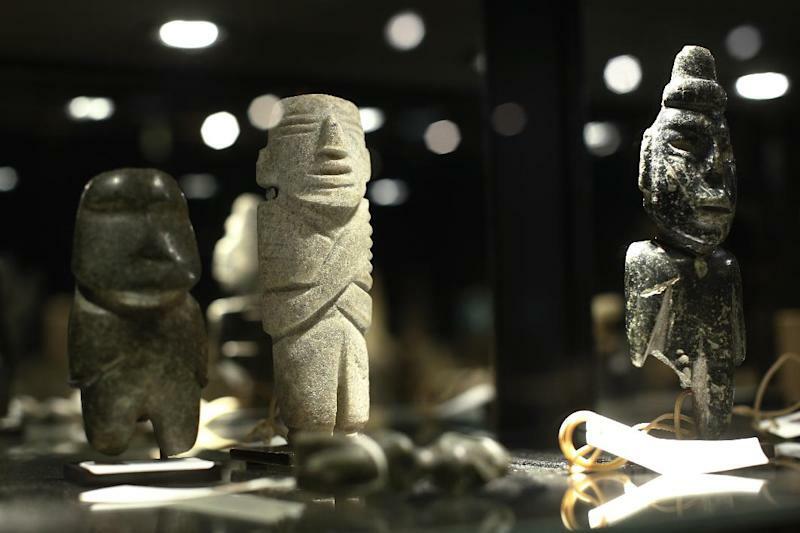 The Eve auction house has 270 Native American, Eskimo and pre-Colombian artefacts going under the hammer and the United States embassy has stepped in, urging a stop to the sale of items cherished by the Navajo and Hopi people. The sale is the fourth since 2013 that the southwestern Hopi people have tried to block of ceremonial masks and headdresses they consider to embody living spirits. 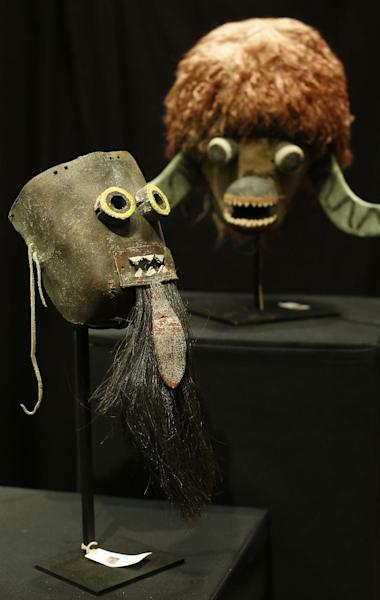 All previous legal efforts to halt such auctions have failed, although a US foundation last year bought 21 of the masks at a Paris auction to return them to the Hopi people. A delegation from the Navajo nation led by the tribe's vice-president Rex Lee Jim is in Paris to try and block the sale of eight sacred masks. "Several representatives came to pray and gather in front of the objects on Saturday," said Eve auctioneer Alain Leroy. Meanwhile the Hopi have identified over 40 sacred objects up for auction, according to diplomatic sources. The Hopi tribe and the native peoples defence group Survival International asked a court on Friday to order the release of the sellers' identities. While the sale of sacred Indian artefacts has been outlawed in the United States since 1990 -- legislation which has allowed the tribe to recover items held by American museums in the past -- the law does not extend to sales overseas. A letter to the Eve auction house on Friday from Jane Hartley, the US ambassador to France, called for the objects to be pulled from bidding while the Hopi and Navajo tribes "determine if they have recourse to seek their return". The embassy called for dialogue between the auction house and the tribes. However the Board of Voluntary Sales "declared this auction legal," said Leroy. "We have no intention of divulging the name of the sellers or the buyers of the masks. That stays in the private domain." He said it was legal to own, collect and sell the colourful masks and statuettes. "This sale is not scandalous because it is not forbidden." However, images of the masks claimed by the Navajo were no longer available on the auction house website on the eve of the sale. In April last year, the sale of some 70 Hopi masks fetched around 930,000 euros ($1.2 million) despite international appeals to halt the auction, decried as a sacrilege by activists including Hollywood legend Robert Redford. 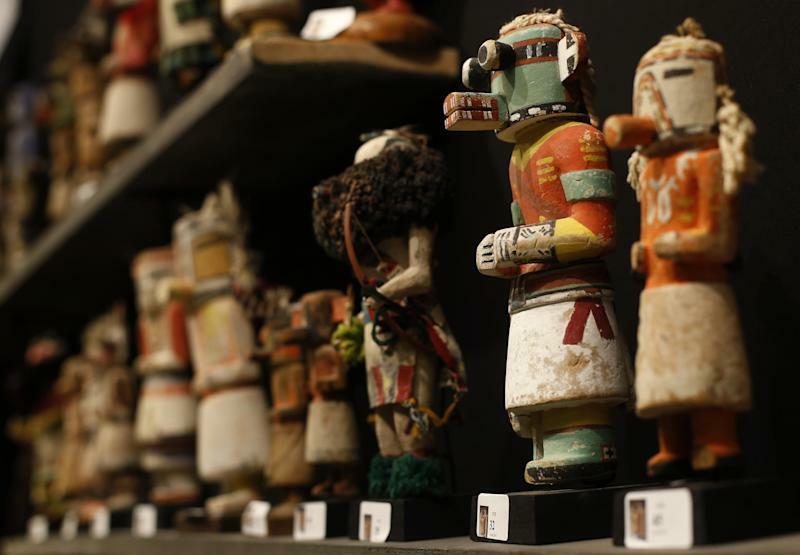 Brightly-coloured, intricate "Kachina" dolls and masks or headdresses are valued at thousands of euros. One of the jewels of the collection is a 40cm-high double mask resembling two bird's heads stacked upon one another valued at up to 60,000 euros. The 18,000-strong Hopi tribe of Arizona uses the masks in highly-private religious ceremonies where they are worn by dancers. The Navajo are the largest recognised tribe in the US, and count some 200,000 people living in Arizona, New Mexico, Utah and Colorado.